BLAZESTOP is an affordable sprinkler system linked to a domestic water supply, putting the reassurance of sprinkler protection within reach of private homeowners. 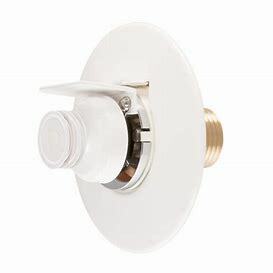 Designed especially for the home environment, BLAZESTOP uses sprinkler heads concealed in the ceiling with industry’s smallest cover plate, just 60mm in diameter. Where this is not possible, sidewall or pendant sprinkler heads are an option. Retrofitting into existing homes is also possible and cost-effective with flexible piping concealed in roof spaces . Made from durable polybutylene or cross-linked polyethylene with an aluminium core, BLAZESTOP piping isn’t affected by scaling, corrosion, or microbiological growth. BLAZESTOP is designed to meet the Australian Standard AS 2118.5-2008 Automatic Fire Sprinkler Systems for houses and complies with AS/NZS 3500.1:2003. BLAZESTOP is triggered by heat, not smoke, and doesn’t rely on electricity. If the temperature in a room indicates fire, the sprinkler in that room will activate instantly and automatically. The sprinklers in the other parts of the house will NOT activate. By containing and controlling a fire in a single room, usually within three to five minutes, there’s less fire and water damage. Sprinklers use 40 to 80 litres a minute, compared to 700 litres a minute used by the Fire Service. BLAZESTOP fits into any new or existing residential plumbing system. BLAZESTOP is light and flexible, making it easy and cost-effective to install, even in hard-to-reach areas. Push-fit fittings don’t need flame or heat-based jointing methods so they’re much safer to work with, especially in restricted spaces.